Happy Sunday! 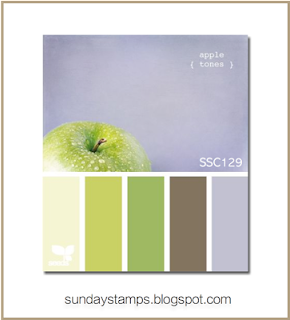 I'm back with a card for the new challenge up at Sunday Stamps,a fun color challenge . I'm sorry I haven't been a consistent team member this summer, life just finds a way of getting too busy at times. I promise to do better! Moose and bear are some of the most active residents of the park so I've had that on my brain the last few days. What better set to pull out than the Warm and Fuzzy Friends set from MFT. This moose and bear are just too cute, I love them! The lake across the street from my house has rainbow trout in it and my family fishes there all the time so that's what I decided to color the fish as. I'm a big fan of earth tone colors so my eyes immediately went to the brown and greens in our challenge photo. I used the green in my DSP and the coloring of the fish, and the brown in coloring the animals and a strip of woodgrain DSP. 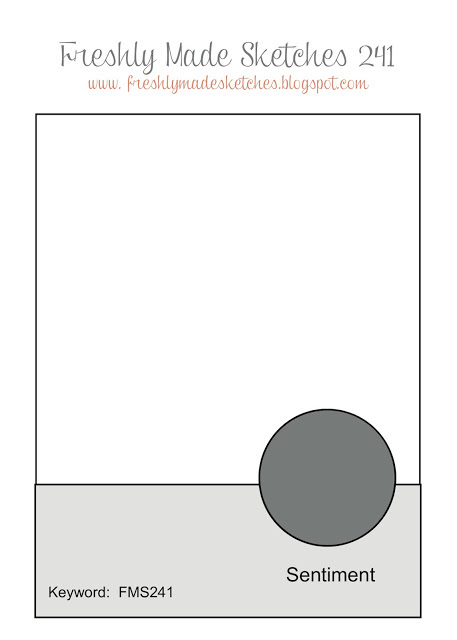 My card base is a retired SU color called Bordering Blue, for me it was the closest color I had to match the one on the end in the graphic. Make sure you head over to the Sunday Stamps blog to see what the rest of the DT created and then play along with us, we'd love to see what you do with these colors! Your little,critters are adorable! Very cute card! Glad you joined us at FMS! And how cool you get to,drove through the park! This is such a great card! 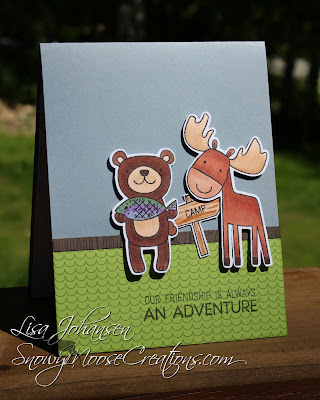 I love the little moose and bear! They are just too adorable! Will you have room in your car for me?! That drive sounds breathtaking!!! Thanks for joining us this week at Freshly Made Sketches! This is super cute, Lisa! Love your rainbow trout and their smiling faces!